The patio is a part of the house where it’s important to consider both the design and the function of the entryway. It connects the interior of the house the exterior such as the backyard, garden, and other outdoor features to see. You can buy different kinds of door installations for your patio. Patio doors that are commonly installed in homes have the swinging, sliding, and folding mechanism. You can also choose a wooden and/or glass door material. There are aluminium frames that shape the door. The more traditional timber wood is also available for a classic-themed home. Picking the right door for your patio will improve the beauty of your house. These types of doors are customizable where the homeowners can specify the design, the color, and fit the right door size into the frame of your home. Glass patio doors have become even more popular these days because it allows natural light to come in. It provides a great view for your guests when you have people come over because they can look at the landscaping from the inside. Looking at your garden can also be relaxing if you’ve got a patio door as a division. As a homeowner, choosing the right patio door is crucial. There are many things to consider when you want to find the right one. However, if you can pick the best patio door for your house you won’t regret it because it adds value to your home and beauty to the design. Patio glass doors will have two installations in the form of glass panels. One of the two will stay put on the sliding track while the other panel will be moving on the track for the door. This needs a competent installation team for the proper placement and allows for good movement on the door. You can also save a lot of space with this type of sliding door. Swinging patio doors are more traditional than the other types of doors. You see these types of patio doors in old house and homes in the suburban areas. You can find double swinging doors and French doors for the classic-themed homes. Installation of a glass patio door will be great for your overall house design. There are many designs to choose from. You can also pick the type of glass that will be used on the door. There is clear glass allowing you to see through it. There are also the opaque glass types which provide both protection and a nice design. Folding patio doors can be set aside to open the whole room for the patio. 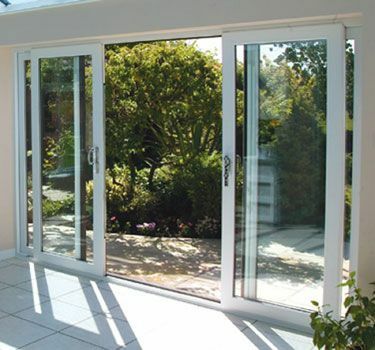 There are modern designs of the patio doors which is perfect for the minimalist or contemporary house design. A traditional folding door is installed in many classic-themed houses. Pick a sliding glass door that secures your home properly. Looking at the beauty and the design of the patio door should also be part of your considerations. There are various designs and makes which you find the right balance of beauty, functionality and design when you buy one for your home.